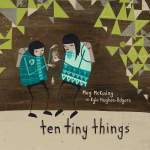 Meg McKinlay is a poet, a writer of fiction for children and young people, and the author of my favourite laugh-out-loud picture book, The Truth about Penguins. (If you suspect you haven’t been told the truth about penguins, you’re probably right, and I suggest you order a copy immediately.) She and I also share a love of all things duck-shaped. Meg has published 11 books for children, ranging from picture books through to young adult novels, and a collection of poetry for adults. Her work has been shortlisted for (among others) the WA Premier’s Book Awards, the Environment Award for Children’s Literature, and the Children’s Book Council Book of the Year Award, and her novel Surface Tension (published as Below in the US) won the Children’s/Young Adult category of the 2012 Davitt Award for Crimewriting. She has a PhD in Japanese Literature and taught for many years at The University of Western Australia, in subjects ranging from Australian Literature and Creative Writing to Japanese Language. In 2010, she took up an Asialink Residency in Japan to conduct research for a novel for adults; she says she’s going to get that written any day now… I believe her. I believe she could write anything. 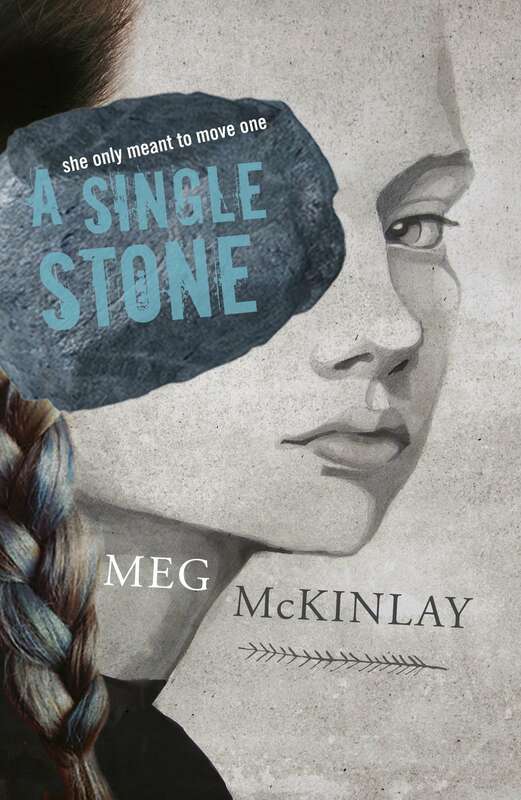 Her new novel for young adults, A Single Stone, is about to be released and I’m thrilled that she’s agreed to talk about it here. Every girl dreams of being part of the line—the chosen seven who tunnel deep into the mountain to find the harvest. No work is more important. Jena is the leader of the line—strong, respected, reliable. And—as all girls must be—she is small; years of training have seen to that. It is not always easy but it is the way of things. And so a girl must wrap her limbs, lie still, deny herself a second bowl of stew. Or a first. Leopards break into the temple and drink to the dregs what is in the sacrificial pitchers; this is repeated over and over again; finally it can be calculated in advance, and it becomes a part of the ceremony. was a very early seed for the story, planted some 25 years ago. As a teenager attending an Anglican high school and skirting the periphery of church culture, I was taken by this notion of how something inherently random and meaningless might be co-opted into sacred ritual. For what reason, to what end? Consciously or otherwise? And what are the consequences when the ritual becomes completely detached from its origin? 2. The village in which A Single Stone is set relies for its survival on a mineral which is found deep inside the surrounding mountains. However, the prevailing mythology dictates that one mustn’t dig into the stone, but follow its natural passages. And for leopard-related reasons, only girls are permitted to do so. To facilitate this, girls are kept as small as possible, with one of the means by which this is done being a system of binding—not of the feet, but of the body as a whole—which begins at birth and continues in some form for many years. This fictional practice has a clear antecedent in the Chinese cultural practice of foot-binding, my interest in which perhaps owes something to my background in Asian Studies, although my area of specialisation was Japan rather than China. I’m interested in how this intersects with gendered constructs of beauty, and specifically in the fact that the binding was generally practised by women, with mothers binding their daughters’ feet—often just as their own had been bound—in the belief that this would make them more attractive and give them better prospects in life. This led me to think about Western standards of beauty, about what’s being imposed on our own daughters now, and about who’s responsible for the perpetuation of these ideals—how that works between mothers and daughters, for example. What became a wider-ranging reflection on those sorts of issues—and also, I hope, a compelling story!—began with that concrete image of the body, bound and constrained, shaped to fit. They say there’s no roof at all there; only a horrible, great emptiness called the sky. You can’t really like it—crawling about like flies on top of the world! Reading this at the age of about seven had a profound effect on me. It made me think about difference in a very personal way, to wonder how I might feel—who I might be—if I had grown up in Bism. I think it’s from here, via a very roundabout route of course, that my main character, Jena, evolved—a girl who feels at home underground, in tight spaces, who is so comfortable there she feels ill at ease outside, with nothing pressing on her. 2. Manning Park is my local park, just around the corner from where I live in Hamilton Hill, and where I walk almost every day. There’s a sealed path that circles the lake so you can cycle or scooter or push a pram around with ease. Since I’m walking rather than doing any of those things, I don’t use the path. I prefer to walk on the grass, and find it mildly amusing that people who used to do so started following the path as soon as it was laid down. I have an irrational stubborn streak and on a certain level say fie on paths of all kinds, especially ones that smother and smooth over the perfectly good earth underneath. But I also live with chronic pain, and there are days when even walking is a difficult prospect. On one such day, I found myself unintentionally walking on the path. I stepped off it, saying fie!, but a few minutes later found that I’d drifted back onto it. Once I was conscious of it, I noticed this happening on other days as well, and I came to realise that when I’m in pain, when I feel unsteady, I’m drawn to the path. And because I have a mind that sees metaphor everywhere, this led me to think about how when things are difficult it might be easier to follow a path—whether literal or figurative—that’s been laid out for you, one that’s regular and predictable and which flattens out the uneven, the unexpected. This is an idea that’s made its way into the book in a few different guises. 1. The bird motif. Birds appear at a number of points in one form or another, and I’m quietly pleased with how I’ve used them to represent certain things, and with the way that shifts across the course of the book. There were many more bird scenes that hit the cutting room floor during the re-drafting process and the book is stronger for that; I have a tendency to get a bit drunk on metaphor and overplay things. I also love that the main character’s name has a connection to this motif, because that was serendipitous rather than by design. She had a different name until the very final draft but somehow it never felt quite right. I was casting about for another when I came across Jena, and there was something about it that immediately clicked. I thought I should investigate possible meanings before settling on it, just to make sure it wasn’t at odds with her character in some fundamental way, and discovered that it was generally considered to mean ‘endurance’ or ‘little bird’. And that was that. She has never been a girl to see a box without opening it. To leave a lid pressed firmly in place. She will only move one stone, and that just a little. The finest margin, to widen the gap. I like the sense of quiet portent here. I’m a chronic overwriter, and I’m always pleased when I manage to pull back and be a bit sparing. A Single Stone will be in bookshops from 1 May 2015. 🙂 re your PS: I’m with you, Rashida! Nice to cross paths again, Rashida – Perth is a small and curious world. Thanks for having me on your blog, Amanda. I feel like I’ve finally made it! Thanks for your wonderful introduction to A Single Stone, Meg. We’re ALL itching to read it now! 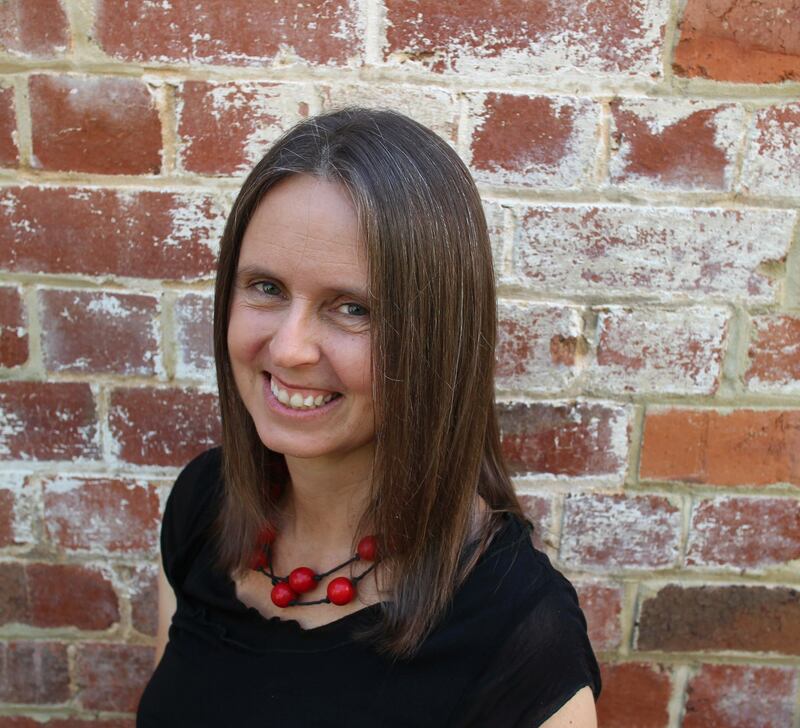 Wonderful Q&A with Meg McKinlay by WordMothers interviewee Amanda Curtin. You’d never believe Meg was a “chronic overwriter” would you? So much clarity and focus.